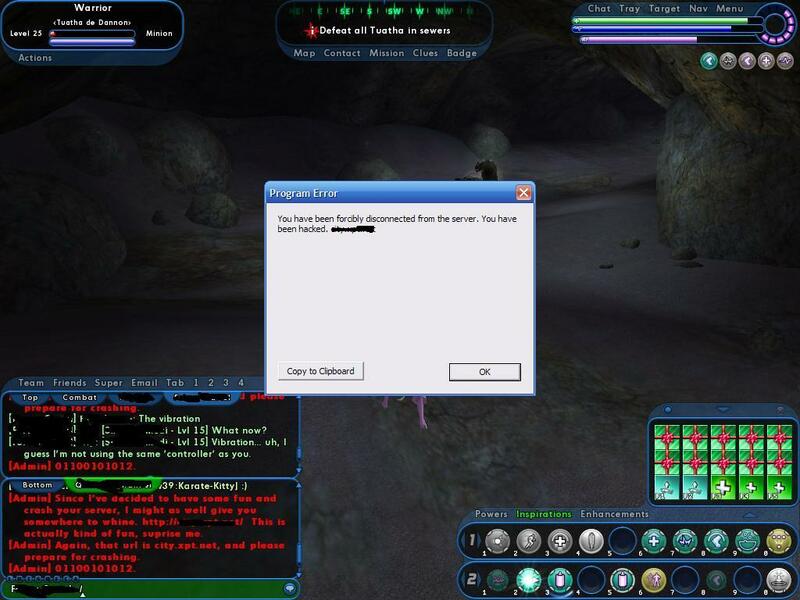 Some 733t |-|axor brought some City of Heroes and City of Villian servers down last night. Said hacker said he used the same unpassword protected software the developers used to remotely access their own server. He even set up a message board (CityofHacked, how clever and witty!) where victims of his haxor prowess can complain and praise him.